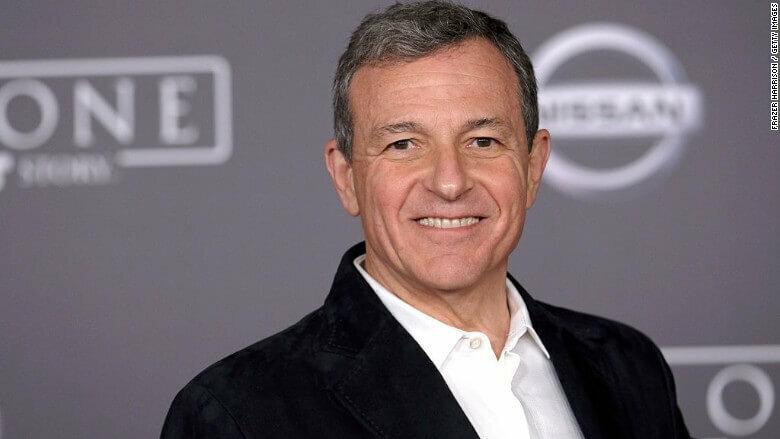 The Hollywood Reporter has released its annual list of the top 100 most influential people in entertainment, and Disney CEO Bob Iger has landed at number one. Iger’s profile is a long list of impressive accomplishments during his tenure at Disney. In his time as CEO, Disney’s market cap has risen from $46 billion to $165 billion. He acquired Marvel, Pixar, and Lucasfilm, leading Disney to have the top five slots at the worldwide box office in 2016 (Captain America: Civil War, Rogue One: A Star Wars Story, Finding Dory, Zootopia, The Jungle Book). The successful live-action “Beauty and the Beast” continues to do well with sales currently climbing to $1.29 billion. He’s had success at the theme parks as well. The ambitious Shanghai Disneyland opened last year and welcomed 11 million visitors, and a new Toy Story land expansion is set to open in 2018. Pandora – The World of Avatar opened in Disney’s Animal Kingdom in May and has been met with praise and huge crowds. The Disney board recently extended Iger’s contract through July 2, 2019. While movies and theme parks have thrived under Iger’s tenure, TV hasn’t done as well. The Disney-owned ABC network is fourth among viewers 18 – 39, and ESPN has lost 10 million subscribers in the past five years. Still, many of the other people on the THR 100 list would trade places with Iger if they could. Brian Grazer (Imagine Entertainment), Mark Burnett (President, TV & Digital – MGM), Charlie Collier (President – AMC, SundanceTV), Simon Kinberg (writer/producer), and Oprah Winfrey all wanted to swap jobs with Iger for a day. To read the full THR 100 list, head over to The Hollywood Reporter website.